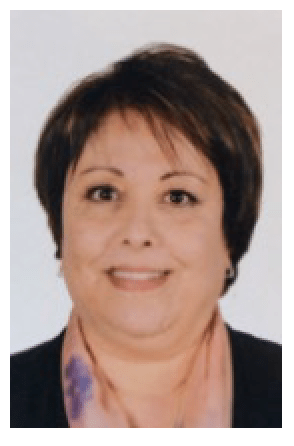 Gisèle Khoury is a Lebanese journalist whose career began in 1986 on LBCI. Presenter of the show “Al Mashhad” (“The Scene”) on BBC Arabic, she has presented political broadcasts on different channels throughout her career, including Al-Arabiya from 2003 to 2013. Following the assassination of her husband, the journalist Samir Kassir, she creates the foundation in her name, which she still chairs and which annually organizes the Samir Kassir Prize for the Freedom of the Press, rewarding journalists for their fight for freedom of the press. The foundation also gave birth to the SKEyes Center for Freedom of the Press and Culture. In 2009, she co-founded Rawi, a company that produces documentary films about the lives of key leaders around the world. Born in 1966, Reda Benjelloun graduated in law at the Sorbonne. He began his career as a legal consultant in Paris. In 1995, he turned to journalism and joined TV 2M (Morocco). He will be a reporter, presenter and producer of news magazines. He currently directs the magazines of information and documentaries. Since 2011, he produces on 2M “Stories and Men”, a weekly documentary box broadcasted Sunday evening prime time. Nada Doumani has been working in communication and audiovisual media for almost 25 years. Graduated from a Master’s degree in Political Science from the American University of Beirut (AUB), she worked as a journalist on Swiss radio and then as spokesperson for the International Committee of the Red Cross (ICRC) in Geneva and in regions in conflict (Iraq, Burundi, Kosovo). Since 2008, she has headed the Communication and Culture Department at the Royal Jordanian Film Commission (RFC). She is also a board member of the Jordan Media Institute. She directed and produced a short documentary, “Leaving Without Leaving”, which received first prize at a festival in Italy in 2009. After graduating with a master’s degree in film history from Hong Kong, Fabio Mancini began his collaboration with RAI, Radio Televisione Italiana, and participated in the launch of some channels of the platform RaiSat. He works as an author for satellite channels such as Music Box, LIVE! and PlayMe. He has co-authored the last four editions of the show “Storie Maledette”. Fabio is currently commissioning editor of the program “DOC3” of the channel Rai 3. A graduate in media management from the University of Lille, Janane Fatine Mohammadi joined in 2002 the Specialized Institute of Cinema and Audiovisual Rabat. His first short film “Fatality” won awards in three festivals. Filmmaker since 2003, she has also worked for the National Broadcasting and Television Company of Morocco for 13 years for which she directs programs as well as documentaries. His sixth short film “The Poppy Cry”, presented at the Short Film Corner of the Cannes Film Festival in 2014, won the first prize at the Baghdad International Film Festival. Thierry Pardi is editor-in-chief of the magazines “Mediterraneo” and “Les Carnets de Mediterraneo”, and responsible for the Mediterranean programs of France 3 Corsica ViaStella. He is also a weekly columnist on Via Nova and works in cooperation with Mediterranean television and audiovisual organizations. 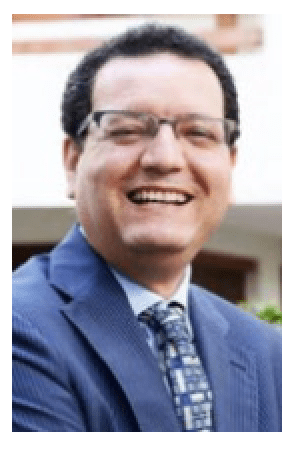 Magdi GHONEIM, Former Regional director of TV5 Monde Maghreb Orient. Rachid OUJDI Documentary filmmaker / Festivals programmer. Arte Correspondent at Rome, journalist and director. Annick Peigné-Giuly President of “Grand écrans” association. 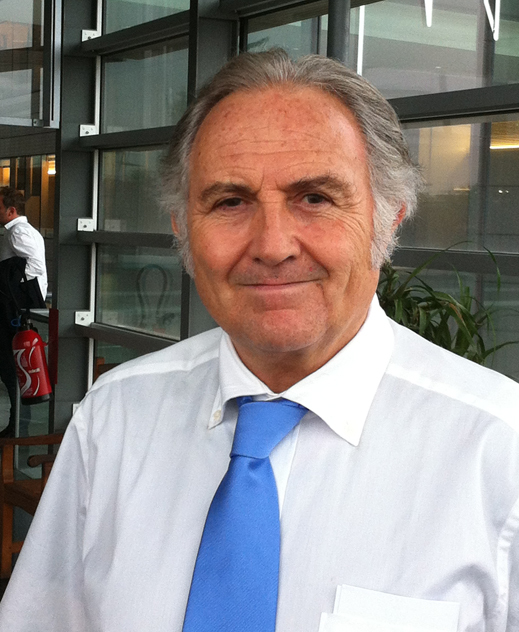 Jean-Marc Illouz president , journalist at France Televisions . Ali Oudjana journalist at France 24. Born in Cairo, Nabil El Choubachy studied history at the Sorbonne in Paris. In 1992 he became a journalist at Radio Cairo, then editor and head of the French section at Nile TV in 1993. Nabil also presented cultural programs on Egyptian television and the French newspaper on the chain Dubai Business Channel. Nassera Benmarnia is a founding member of the Union of Muslim Families (MRU) of the Bouches-du-Rhone, she worked as Director since 1998. She has organized seven years the festival in Marseilles “Eid in the City.”. Sergi Doladé has worked since 2000 in the Independent Audiovisual Producers Association of the Mediterranean (APIMED). He is also Director of MEDIMED, the documentary market held each year in Sitges, near Barcelona. She is in developper for audiovisual sector of Corsica . From 2006 to 2010, she was Advisor to the President of the Corsican Assembly for the communication and cultural industries. After starting his career at the RAI in Perugia, Lorenzo Hendel integrates RAI3 in Rome as a documentary filmmaker. Since 2008 he is responsible for the weekly magazine DOC3 on RAI. His first feature film, “Quando i bambini Giocano In Cielo” (2005), has received several international awards. The director was born in Belgium but from Spain collaborated in the creation of the first Hispanic film festival in Brussels. He has made three documentaries to date, Niños (2001), Aguaviva (2005) and The Paths of Memory (2009), awarded in 2010 PriMed. Cyrille Perez has worked in public institutions and EU in 2004 before creating Thirteen South, documentary production company focusing on Latin and Mediterranean look of the films. This year, Thirteen merged with the South to form 13 Production 13 Productions. After studying film in Paris, he made several fiction films that have enjoyed great popular success in Tunisia, as Essaïda (1996) and Prince (2004). He was also recognized for his documentaries such as The Song of the Millennium (2002, Best Docu at Tribeca Film Festival) and Living Here (2009, Grand Prix of the Festiva Tetouan). Tetouan). Cameraman and director since 1985 to programs such as “Do not dream,” “Thalassa” or “Special Envoy”, he was awarded the Albert Londres Prize in 1997 for his reporting on “The Lords of Behring.” He has twice won the Grand Prix of FIGRA for “Blood Mountain” (1995), and “The Brigade of the World’s End” (2000). She is currently a special correspondent for the Egyptian daily Al-Shorouk, and Deputy Director of the writing of Al-Ahram Hebdo. Samar Al-Gamal had previously worked as a correspondent in Cairo for the Middle East RMC-and Radio Orient, or as editor of the program “Al-Al-Oula Tabaa” on Dream TV. She also worked for the AFP, the ERTU and France 2. Reporter for the Agence Tunis Afrique Presse, Amel Bejaoui is a member of several associations and committees in the area of the Tunisian Human Rights (Amnesty International, Tunis Center for Freedom of the press …). She has participated in several studies on women’s rights and the situation of the press in Tunisia. Yves Bruneau was a journalist and editor of France in three regions (Ile-de-France, Guadeloupe). Reporter for “Thalassa” between 1983 and 1986, he subsequently made a documentary about thirty. After an experience as Deputy Director of the National Writing France 3, he became expert Canal France International (CFI) in 2005. She is a reporter for the Moroccan channel 2M for 10 years, and has directed several documentaries and special reports, after 3 years experience in print media and communication. She realizes this and now “The Life of a Film,” a collection of documentaries 52 minutes. Touria Hadraoui, former investigative journalist, has since 1989 malhoun singer, singing traditional Moroccan. Author of eleven studio albums since 1991, it is also one of the great scholars of Arab-Andalusian songs and Sufi. She also published a novel in 1998 and continues to write articles related to his work as an artist. Stéphane Taponier, cameraman, is no stranger to missions of great stories in conflict zones. He made his first stories for France Television in 1990. Staff member of Journalists-Reporters Investigation of RTL TV TF1 and freelance, he worked in parallel to television productions for Arte and TV5 Monde. His last report led him to Afghanistan, where with Hervé Ghesquière was held hostage for 547 days. Actor since the age of 8 years, Darina Al Joundi is on all fronts: cinema, theater, television. She has written several short films. She played in La Porte Sun Yosry Nasrallah, officially selected at Cannes in 2004. Actor in its infancy, especially in Diva, he started directing. In 1991, he produced a lot of documentaries including participation in the show “Is not dreaming”. In 1997 he became a producer by creating 17/23 Productions. In 2008 he produced a result of a work stoppage with Patrick Timsit and Charles Berling. After working in a large group of international press and the Embassy of France in Morocco, Marie Gutmann created the film production company Meroe with the aim of producing movies that help explore and understand today’s world. dance “and” Design and fashion “in Carthage and the documentary film festival” Doc in Tunis. ” She received the 2007 Award Cultures France creators Without Borders. A journalist by training, she practiced in Corsica from 1989 to 2004 where she created the first audiovisual press agency in the region. Director of antennas France 3 Corse since 2007, she accompanied the development of VIA STELLA. MD, amateur photo, Patrick Magro was elected in Septèmes, Provence since 1983, he was the Assistant to the crops, and still serve as Managing Editor of the local newspaper The Septémois. Degree in philosophy, literature and psychology, is director of 1985 to 2007 in television TV3 (Television de Catalunya). She co-directed several documentaries that have been recognized internationally. In 2006 she was awarded the National Audiovisual Culture. After starting his career at the antenna of the RAI in Perugia, Lorenzo Hendel integrates RAI3 in Rome as a documentary filmmaker. He realizes movies in the world. Since 2008 he is responsible for the weekly magazine DOC3 RAI. His first feature film Quando i bambini giocano in cielo (2005) has received several international awards. Journalist since the age of 23, he worked as a writer in many television magazines. He then joined the service of Liberation Media Television before becoming a TV columnist for the magazine France Football. Since 1997 he worked at Le Monde, where he is now editor of the Media service. After TV producer for advertising agencies, she founded the company Cyclops Productions established in Athens since 1999, which produces mainly documentaries and docudramas quality, co-produced for an international market. After beginning his career as a journalist in Jeune Afrique, Reda Benjelloun returned to the Moroccan TV channel 2M as a reporter in writing French. Former editor of the magazine and host JT Dounia he became deputy director in charge of information magazines and magazine editor of Wide Angle. Director, he won the Grand Prix National de la Presse for his documentary African Wanderings. Self-taught journalist since 1972, Daniel Grandclément Chaffy began his career at the ORTF. He had a first part of a career in political journalism in FR3, TF1, France Inter, RTL. In particular, the host of Screen on Antenne 2. Its main objective is the “big” story, it continues to perform today at Thalassa, do not dream, TF1, Arte. In 2008 he received the Award for his reporting Figra The Martyrs of the Gulf of Aden. In 1983 he set up a “Café Theatre” in La Ciotat, and then work for the Festival of the city and lead the House of the image. He then co-direct the Festival “The Adventure of information”, in Istres and Fos-sur-Mer. In 1993 he created the International Festival of News Reporting FIGRA. Franco-Lebanese director Philippe Aractingi is a forty films, features, documentaries and art films, shot around the world. He turned Bosta in 2005, the first musical film post-war and his second feature film Under the Bombs on the war in Lebanon in 2006 was awarded 23 prizes. Under the Bombs and Bosta represented Lebanon at the Oscars in 2006 and 2009. Degree in History and Communication Sciences at the Autonomous University of Barcelona. Since 1989 he has headed the program Thalassa Catalan, el Mar. He is also author of numerous reports and documentaries. He has received several awards including the Bronze Award Àngel audiovisual communication in 2003 and the price Nacional de Cultura 2010 for his work in global broadcasting. In 1978, she founded her services company specializing in the development of public relations and organizing exhibitions and cultural events where she coordinates the activities of audiovisual production. Independent producer has made many documentaries and news reports. She received a David di Donatello and a Golden Globe for the short film Senza Parole (1996). She began working in the sales department of the RAI in 1990 as director of sales abroad. Khaled Al Khamissi was born in Egypt in Cairo. A graduate of Political Science at Cairo University, he holds a postgraduate degree at the University of Sorbonne in Paris. In January 2007, he released his first novel “Taxi,” which became a bestseller in Egypt and the Arab world. In 2008, “Taxi” is translated in English, Italian, French and recently published by Actes Sud, Spanish and Greek translations are planned. Khaled Al Khamissi is also a producer, filmmaker, and writing as a journalist, articles every week in many Egyptian newspapers. Before embarking on the implementation, Yasmina Adi was press secretary, before becoming in 1997 an assistant director. She then devoted to writing documentaries. “The other May 8, 1945-The origins of the war in Algeria” is his first film. The documentary also won the Star of SCAM 2009, awards thirty documentaries for French television. It was also broadcast on France 2, the CPAC audience Senate, Al Jazeera, TV5 Monde and selected from many. Festivals such as Amiens, Barcelona, Brussels, Ouagadougou, Tunis, Rabat. She is currently preparing his second documentary. Fulvia ALBERTI studied film at the University of Turin, Bologna and the University of Paris III. Feeding a deep passion for the films of Robert Bresson, she wrote her thesis on the treatment of sound in films of the director. Corresponding to a magazine Milanese Musiche, she has traveled the Parisian scene in search of musicians to be discovered. To print, she covered the war in Iraq, the end of the Iron Curtain in Eastern Europe, the Chernobyl fallout … and made reports and documentaries for ARTE, France 2, France 3.Elle preparing a film in Iraq, where she initiated, with the NGO Alterdoc a workshop documentary film, now in its fourth edition (http://doku3.wordpress.com). When she has free time, Fulvia Alberti wrote and published the new (Collections: The rossa primavera, La memoria del mare). Zeynep Capakçur studied literature in Ankara, particularly concentrating on the study of literature and of French and Greek. After working for Turkish Telecom, she joined the TRT (Turkish Radio & Television), where it began in 2003 in the Department of acquisitions of documentaries, magazines and music. In 2006 she joined the department acquisition of feature films, and was finally appointed in 2008 Assistant Director of Sales and Acquisitions of the TRT. Louis-David Delahaye is responsible for TV5 MONDE documentary unit since 2006. He previously served as a fiction writer and journalist in the press media. He holds a Master of Contemporary History 2 specialty television at the Sorbonne. 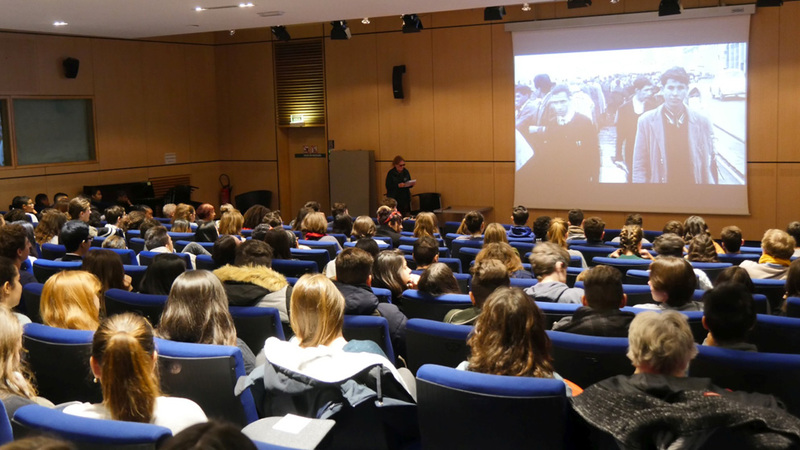 The documentary has an important place in the programming of TV5MONDE, which offers its audience nearly 300 hours of documentaries per year: 5 unreleased documentary a week and a great meeting place for 90 minutes per month. 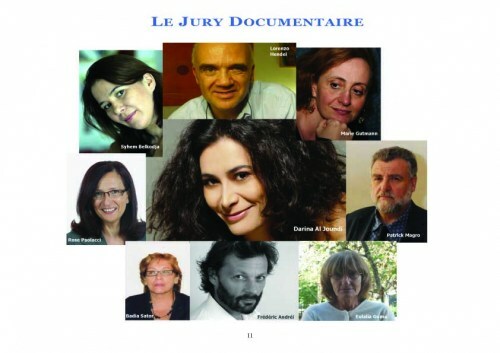 TV5 Monde emphasizes the plurality of entries: documentaries very unifying and others who express the views of an author. They revolve around three axes Editorial: The discovery Society, History. 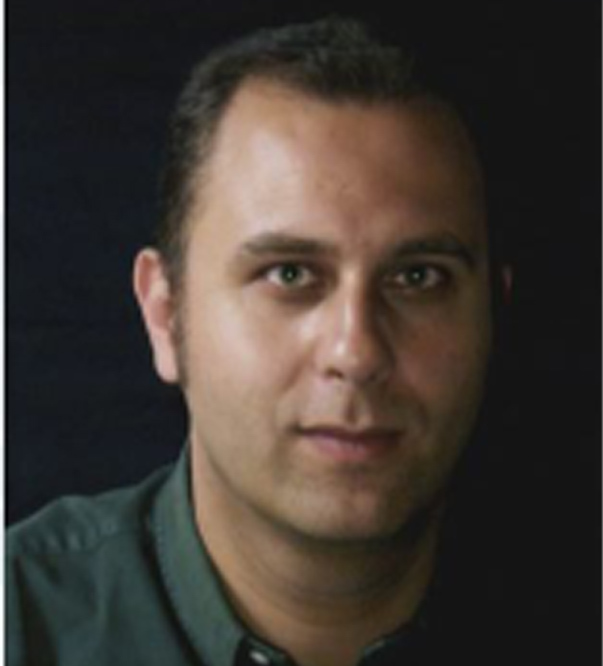 Mustapha Chabbani turned to television production after an academic and professional background in biomedical engineering. Only at the end of 1991, he became director of Next Vision, a multimedia production company and film designed to develop the production of documentaries, animation, 3D architectural, of multimedia archives in the Middle East. Mustapha Chabbani has also participated in archaeological excavations in Beirut and other ancient sites. He has produced numerous documentaries and multi-media documents contractors ethnoarchaeology, cultural heritage and urban projects in the Middle East. Since 2007, he studied the impact of digital cinema production and distribution of independent films and alternative media. For this research, a pilot will be conducted to pave the way for a major project in the Middle East and North Africa, a mix of film and theater as a new art form. Since 2000, Sergi Doladé is executive director of the Producers Association Euro-Mediterranean (APIMED), and MEDIMED, Market Euro-Mediterranean documentary that takes place every year in Sitges, Spain. His involvement in the audiovisual sector began in 1998 when he was appointed to head the Department of International Relations Spanish film company Els Films de la Rambla. He is a regular international juries of documentary festivals. Paolacci Rose, 47, is Director of antennas france3 Corsica since 2007. As such, it supports the development of VIASTELLA chain that aims broadcast on national territory and programs Corsican Mediterranean. Fifteen hours of daily programs with a diversity ranging from documentary, emission discovered territories, music and film in the Mediterranean. A mission of content that is also accompanied by a strong involvement in the economic development of the audiovisual industry island. A journalist by training, she practiced in Corsica from 1989 to 2004 where she created the first audiovisual press agency of the region corresponding successively TF1 (1990-1997) and Canal + (2000-2004). During the same period it supports the emergence of new talent of filmmakers producing documentaries and short films. Next came several collaborations with France 3 in the region, as deputy editor, before returning to Corsica. Passionate about art in all its forms, Apolline Quintrand, after studying philosophy at Aix-en-Provence and English literature at Manchester and London, as selected Marseille port. 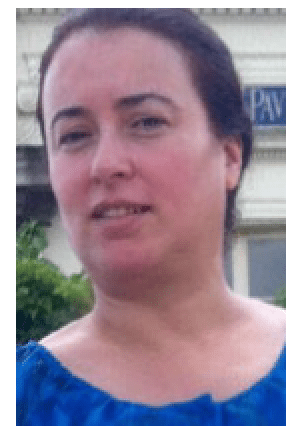 Translator of English, she became in 1977 one of the first voice of Fip in 1982 and participated in the creation of Radio Free Forum 92, she will then script editor for television news. At 92, she moved from Madrid to Seville where she discovered flamenco and Averroes consider it for 3 years. This is the end of 1995 the City of Marseilles gave him carte blanche to imagine a festival devoted to the Arts. In fifteen years, the festival of dance and the arts multiple Marseille hosted thousands of artists from around the world, opening to the public Marseille prospects of discovery and emotion rare. 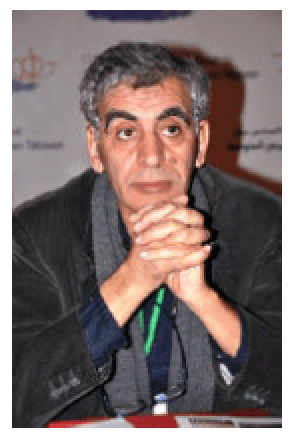 Mohamed Tozy is university professor at Sciences Politiques of Aix-en-Provence and the Department of Sociology at the University of Provence. It is also a researcher at BLADES / MMSH and director of the Moroccan Centre for Social Sciences at the University Hassan II in Casablanca. Tozy Mohamed is a former member of the Committee to support the Moroccan Cinema (Moroccan Cinematographic Centre). He is the author, among other things, political Islam and Monarchy (Political Science Press. 2000), the Mediterranean anthropologists (Maisonneuve Rose 2005), Islam in everyday life: a survey of religious values and practices in Morocco (Casablanca ed. Prologues, 2007). After studying communication sciences and information at the Complutense University of Madrid, Asun Gomez largely involved in the audiovisual sector, especially within the TVE (Spanish Television). Since 2004, she was director “Exchanges, News and International Relations” of TVE and joined the same year, the Mediterranean Observatory of Communication (ECMO). From 2007 to 2009, Asun Gomez is a member of the News and Editorial Subcomité of the European Broadcasting Union (EBU). In 2009, the EBU reward Award “Excellence 2009 Exchanges and News.” The same year she was elected President of Subcomité Editoriel and vice-chair of the News of the EBU. She was recently appointed to head the chain any info on Spanish television, Channel 24. Afaf Belhouchet is a journalist and presenter for television and Algerian radio. She began her career in 1997 on Algerian radio channel 3. In 2003, she became a permanent correspondent in France the Canal Algeria. It continues in parallel to develop and present to this chain of weekly programs and special programs devoted to cultural or political events. She was also moderator of international conferences organized by the UN and UNESCO on Internet Governance in 2006 and the diversity in the media in 2007. She was a member of the International Jury Grand Prix for Author’s Documentaries of URTI in Monaco in 2008. Jean-Daniel Bohnenblust studied political science at the University of Geneva and graduated in the early 1990s. He joined the Swiss Television in 1986 and worked for 10 years as manager image on different issues. Ten years he will make many photographic trips mostly in Asia Minor and also work in conjunction with ICRC occasionally. Journalist, Catherine Bomeisler helps launch in 1991 of three Atlantic France in La Rochelle, a local despremières France 3, 2000 and participated in the design and creation of two other local Strasbourg and Mulhouse. She has been editor of the editorial de France 3 Alsace. Since 2007, she is also Deputy Secretary General of the CIRCOM, European association of regional public television, which currently includes over 300 television than forty European countries, Moldova to Ireland and Sweden in Cyprus. The missions of the CIRCOM revolve around two core activities: training programs for young journalists, and journalists more qualified, and exchange programs with CIRCOM Award which annually recognizes a dozen reports of documentary and fiction. Derradji Ayache, a journalist of Algerian origin, he began his career 13 years ago in the European string “Euronews”. He then worked in Paris in the production of documentary films, before joining Al Jazeera in 1999. Reporter, he covered events in Europe, Africa and the Middle East. He is currently a correspondent for Al Jazeera in Paris, but also special envoy of the chain in many regions of the world. 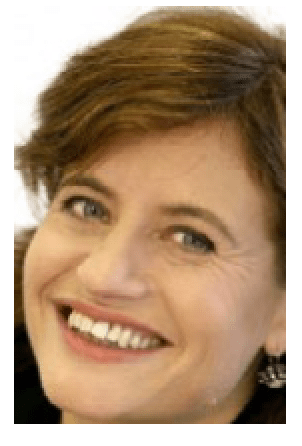 Isabelle Staes is a reporter and assistant editor at France 2, where she worked since 1987. Until 1999, she was a reporter in the drafting France 2, where she covered conflicts including the Middle East and Africa (Rwanda genocide, riots and fall of Mobutu in Zaire ..). It also carries many stories for the magazine “Special Envoy” (Daily Life in Russia, the oil wells on fire in Kuwait during the second Gulf War, African wildlife in danger …). From 1999 to 2003, she was sent to Rome and special permanent bureau chief of France 2, Italy. Isabelle Staes is now based in Marseille, having headed the foreign policy of France 2 until 2008. She is also President of Press Club Marseille Provence South Alps. Isabelle Staes is deputy editor at France 2, where she worked since 1987. Until 1999, she was a reporter in the drafting France 2, where she covered conflicts including the Middle East and Africa (Rwanda genocide, riots and fall of Mobutu in Zaire ..). It also carries many stories for the magazine “Special Envoy” (Daily Life in Russia, the oil wells on fire in Kuwait during the second Gulf War, African wildlife in danger …). From 1999 to 2003, she was sent to Rome and special permanent bureau chief of France 2, Italy. Isabelle Staes is now based in Marseille, having headed the foreign policy of France 2 until 2008. She is also President of Press Club Marseille Provence South Alps.